A hearing in the case of a man accused of illegally possessing firearms will continue next week in the Champaign County Common Pleas Court after a hearing was held on Monday. A final pretrial hearing will continue next Monday in the case of Jacob M. Heyder. During a hearing on Monday, Champaign County Assistant Prosecutor Sean Martin informed the court that attorney Robert Strapp, Heyder’s attorney, had asked for the final pretrial hearing to continue on a later date so the defense could review a bill of particulars the state recently filed. Heyder, 26, is charged with four counts of having weapons while under disability with one-year and three-year firearm specifications and one count of criminal damaging or endangering stemming from a Dec. 8, 2018 incident. A court statement filed in the Champaign County Municipal Court states that on that date, Urbana Police spoke to an Urbana resident in reference to Heyder texting him and making threats. The resident previously made a complaint about harassing text messages from Heyder earlier in the day. The court statement notes Heyder was on parole at the time. The grand jury indictment states he was previously convicted of aggravated robbery in 2014 in Franklin County. When the resident arrived at the police department, he showed texts from Heyder and photos of Heyder holding two long guns, holding a small revolver and a long gun. Other photos showed Heyder with swords, knives and other weapons. Police noted the photo of Heyder with the long guns was taken on Nov. 9, 2018. The resident also told police Heyder was responsible for shooting out a pizza delivery driver’s vehicle window from his balcony. An Urbana Police Division incident report states on Dec. 4, 2018, a driver was backing out of a parking spot at 941 W. state Route 29 and heard a loud pop. The driver stated someone shot a BB at the rear window of his vehicle as he was pulling away. Photos were taken of the shattered glass and a small round hole in the lower left side of the window was observed. The criminal damaging or endangering charge, a second-degree misdemeanor, against Heyder is related to this alleged conduct. The resident told police he did not tell them about this incident because Heyder threatened him and his family if he told police. 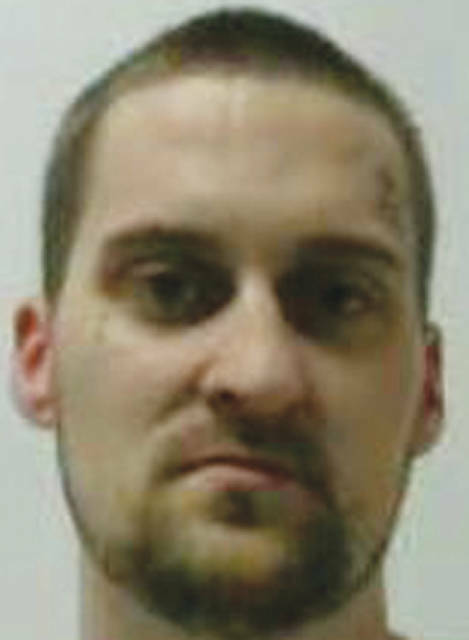 Police and members of the Adult Parole Authority for Champaign County decided to visit Heyder’s residence. Due to the information gathered from the resident and possible threats involving guns, law enforcement formulated a plan so all officers and occupants in the house would be safe. When they arrived at the residence, Heyder told law enforcement to go away. After being informed that the Adult Parole Authority representative was there to conduct a home visit and that he would be detained, Heyder was uncooperative. While searching the residence, police found a woman sleeping in a bedroom. Heyder said the woman had smoked marijuana, taken sleeping pills and other medication and was knocked out. Paramedics were called to the scene and after some trouble were able to wake the woman who was identified as Nicole L. Hitchcock who had an active warrant for her arrest. Along with pills, police found marijuana and drug paraphernalia within the residence. Police were informed that the guns Heyder posed with did not belong to him and had been removed from the residence after he tried multiple times to gain access to them. Hitchcock, 30, pleaded guilty to one count of aggravated possession of drugs, a fifth-degree felony, on Jan. 23. The charge stemmed from the police search of Heyder’s residence on Dec. 8, 2018. After pleading guilty, Hitchcock was placed on community control for a period of two years. As part of community control, Hitchcock was ordered to successfully gain admission to and complete the STAR community based correctional facility, complete substance abuse counseling, is subject to random urine screens, must obtain a GED no later than Dec. 25, and may not have contact with Heyder. If community control is revoked, Hitchcock faces a one-year prison sentence. A jury trial in Heyder’s case is scheduled to start on Feb. 26.